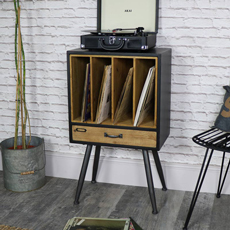 A beautiful collection of Furniture, home furnishings & wedding accessories with a distinctly vintage, French or country look. French painted furniture, mirrors, candelabras, clocks & pictures. 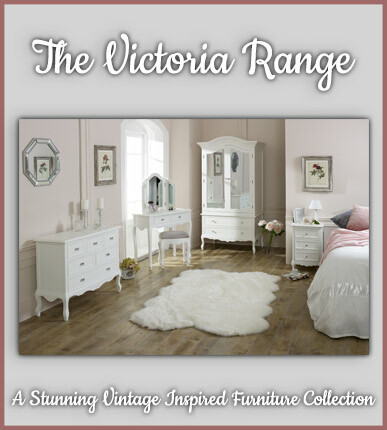 Shabby chic and Vintage Chic furniture & home accessories, and gifts. 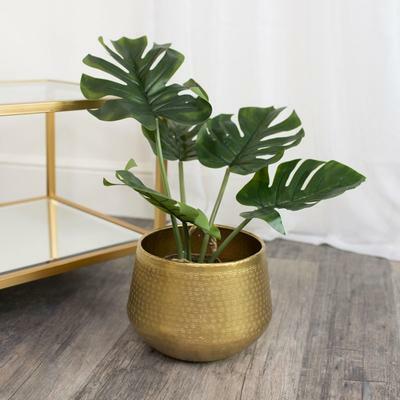 Including vintage style lamps, mirrors and wedding decor as well as French farmhouse style kitchen and bathroom ware and storage. 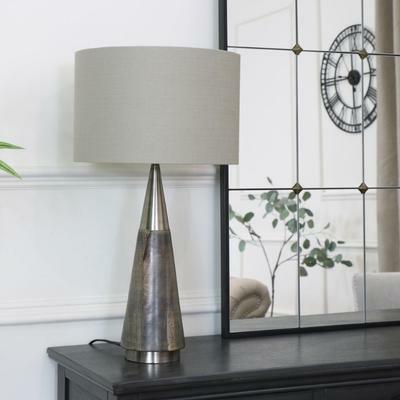 And with an extensive showroom in South Yorkshire, where buying on line or shopping in person, purchasing stunning interiors items has never been easier. 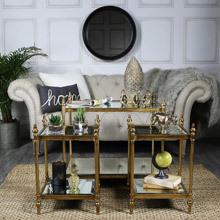 Melody Maison stock vintage and french-style furniture and home accessories. 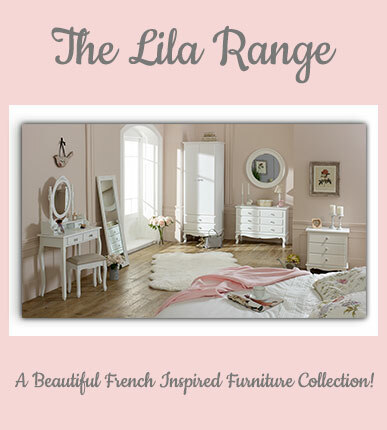 Our tastes are dominantly of the shabby chic, vintage, french country style home furnishings which can suit all tastes. 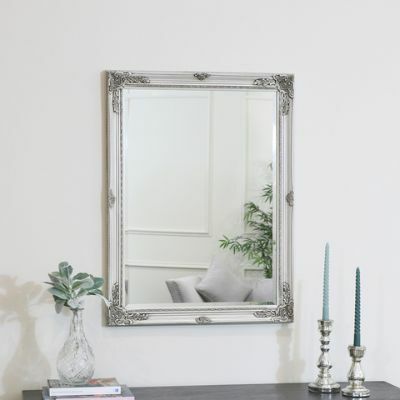 We specialise in French country-style furniture - particularly bedroom furniture: cream or white bedroom furniture and hand-painted furniture being the main specialities. 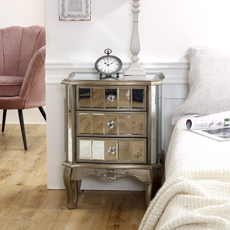 We try to provide full matching bedroom sets in all tastes and styles, so you can select a combination of bedside tables, shabby chic chests of drawers, wardrobes, and french-style dressing tables that all complement the french-style bedroom look. 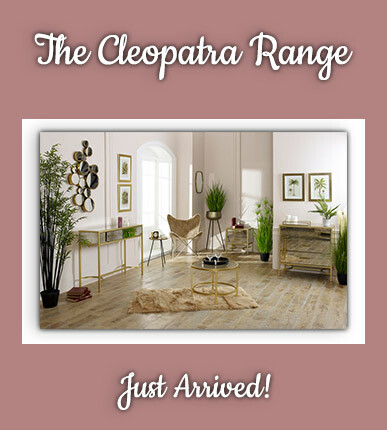 Whether you are looking for shabby chic, french country style or ornate carved painted furniture we have something for you. French style chests of drawers in cream, French grey and white are very popular and can be purchased in all paint finishes in shades of cream, white and ivory and grey. We source our products from all over the world and therefore we are confident you won't see this selection together anywhere else. At Melody Maison we are a family-run business and pride ourselves on offering quality customer service and a personal touch in all we do. Additionally, if you are ever nearby, why not visit our showroom In Harworth, Near Doncaster on the Nottinghamshire/Yorkshire border.